During Microsoft's Build 2014 developer conference, which ended 3 days ago, some particularly interesting information surfaced via Frank Savage. After a portion of the conference dubbed "Understanding the Xbox One Game Platform Build on Windows," Savage took a few questions from the crowd. The very first question asked was, "Are there any plans for an emulator for the 360 games?" Savage replied, "There are. But we aren’t done thinking them through yet unfortunately. It turns out to be hard to emulate the PowerPC stuff on the x86 stuff. So there’s nothing to announce, but I’d love to see it myself too." It is interesting to note, that despite Savage being optimistic about such an idea, backwards compatibility was not always seen in a positive light by some Xbox employees. In fact, former Xbox chief, Don Mattrick, went as far to say "if you're backwards compatible, you're really backwards." According to Mattrick, only 5% of gamers use a new console to play games from a previous console, therefore the whole idea of backwards compatibility seemed futile. On the other hand, some other higher-ups at Microsoft are more enthusiastic about the idea of backwards compatibility. 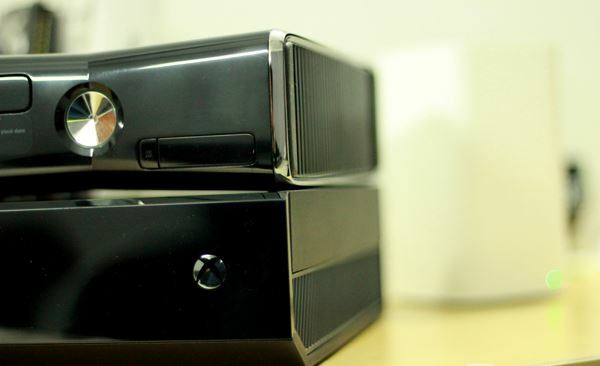 Last September, Albert Penello (Microsoft's senior director) said that through Azure cloud servers streaming/rendering full games, the Xbox One could eventually offer backwards compatibility. However, he did note that this type of cloud streaming is still too prone to a lack of success and would probably only work ideally if a user had "the world's most awesome internet connection." As some may recall, Ben Vanik had managed to get 2008's XBLA release of Frogger 2 to run on PC and uploaded a video of the gameplay back in March. This was the first demonstration of Xbox 360 emulation, but to be fair, the gameplay was not up to the perfect standard. Nevertheless, it was a step in the right direction as far as success goes. The question remains, however, of whether or not regular 360 titles, as opposed to arcade titles, can be emulated. Going a step further, one can only wonder if these titles could be run by the Xbox One smoothly in the end even if they can eventually be run well on a PC. As far as my non-expert take on 360 emulation goes, I feel like it could be done to an extent, but because Microsoft has other priorities, I doubt it will happen. However, if 360 emulation is brought to the Xbox One, I feel like there would be a certain list of 360 games that can be played on the X1 just like there is currently a set list of Original Xbox games that can be played on the 360.